Do you have prizes to give away? A great way to do it is with the prize big wheel. 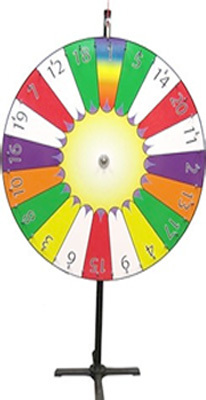 Let your guests spin the wheel and win that prize. Place your bet on the table 1~20 and spin the wheel. People love the suspense. Size: Height: 6ft. Width: 4ft. Depth: 2ft.